This product is so much fun...and it is also FREE. 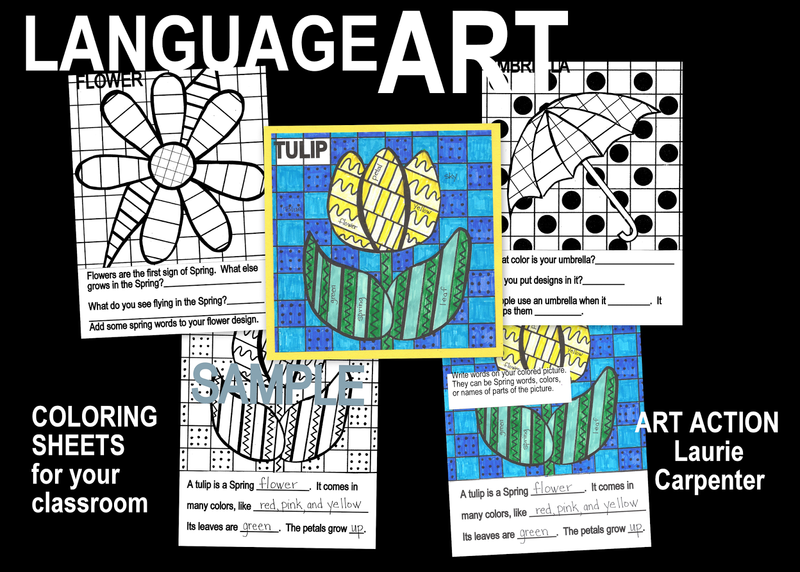 My LanguageART lessons integrate art and language arts for classroom use by providing printables for independent seat work...VERY LITTLE PREP TIME FOR YOU! If you like it, please take time to rate me. This free lesson introduces your kids to my paid seasonal coloring sheets for Winter, Fall, Christmas, and now Spring through a sampler of seasonal printables to be used in your classroom. 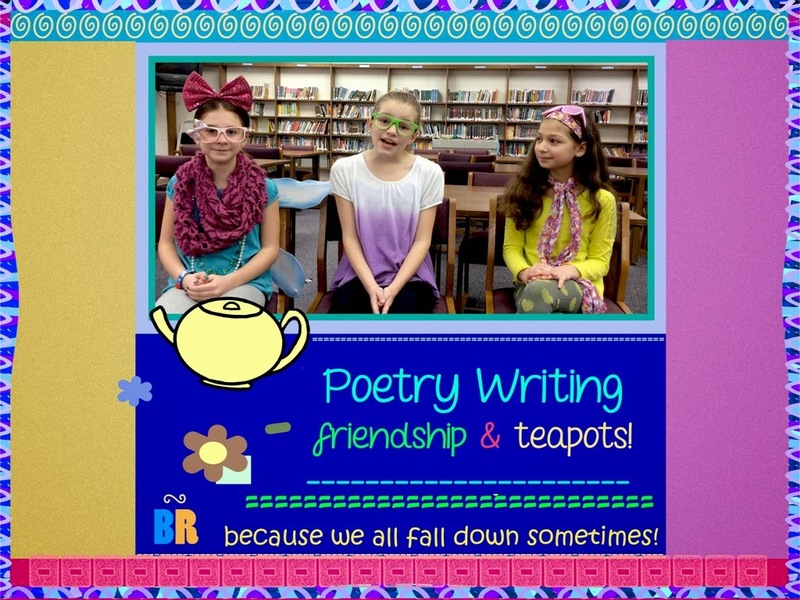 Your students have fun independent work, while it enhances your writing and language arts program and common core requirements.. 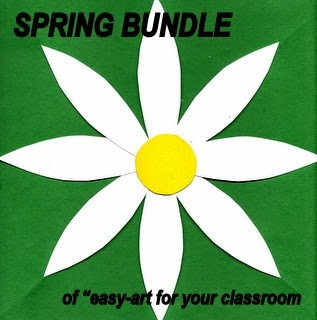 Many "easy-art" Spring projects for your classroom...teach language arts through a fun art activity. 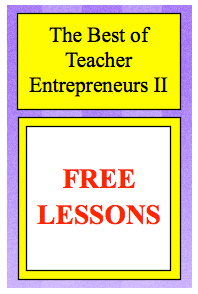 Spring is a new beginning time of the year, and so are these lessons. 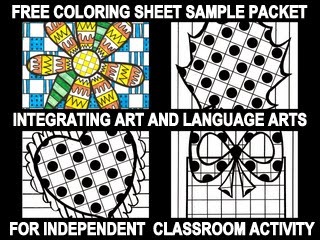 Fun, coloring, imagination, creativity, vocabulary development, math skills, small muscle development, group discussion, and much more come in to play in this assortment of bundled art lessons for your classrooms. 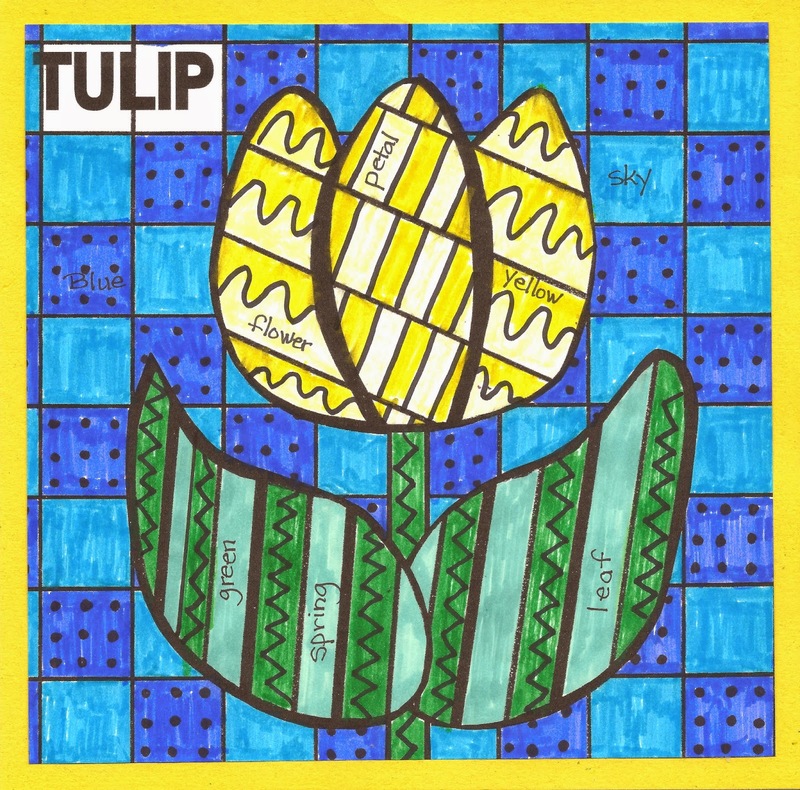 Integrate art into your academic program. 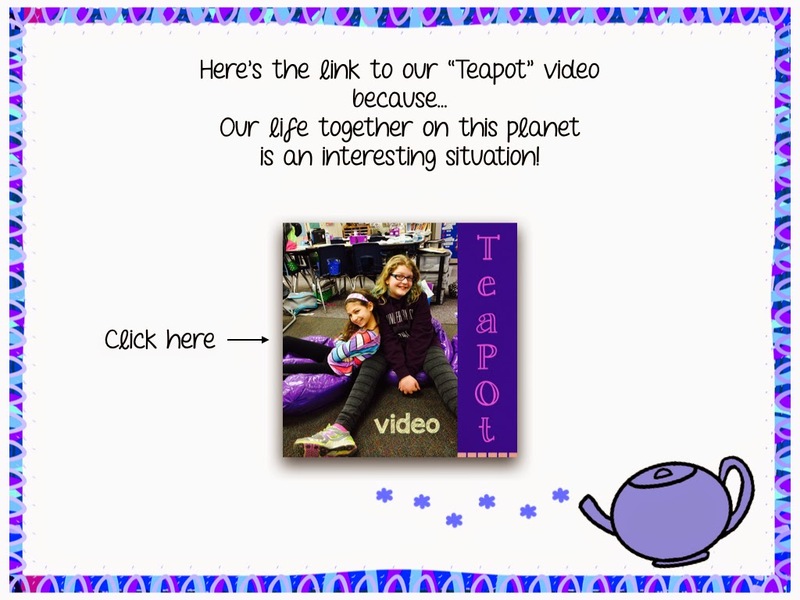 It is so much fun and your kids will learn at the same time! Save $3 by buying them as a bundle!